Help us supporting the community and the construction of the Crowley Lake State Park. 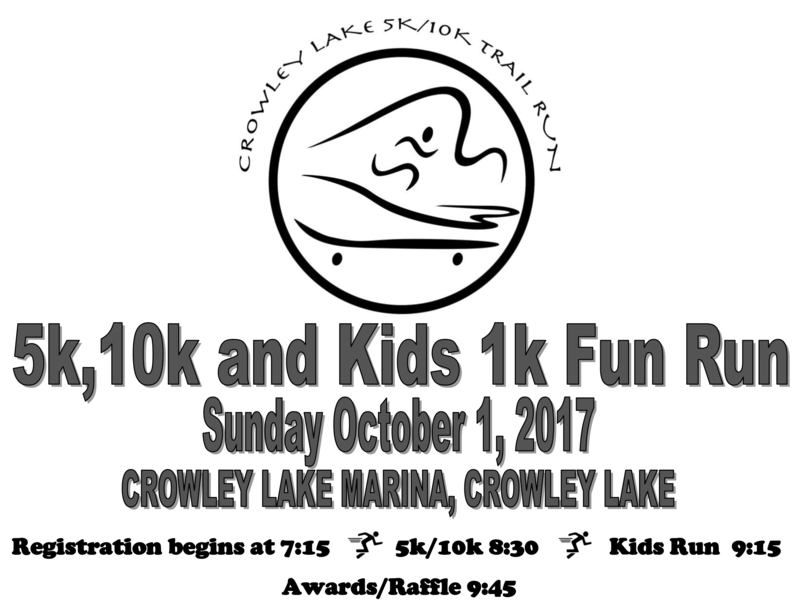 This is a community event: even if you aren't a runner, you can walk this beautiful course which meanders along Crowley Lake Marina and has spectacular views all along it. You can choose between a 5k or a 10k course. And for the kids, the 1k fun run is going to be exciting! There will be post-race snacks and a huge raffle afterward with over 70 valuable prizes to be won. AWARDS: Overall 5k and 10k men’s and women’s first place finishers. First and second place awards in each age division category for both men and women in the 5k and 10k races. Participation awards in the Kids 1k categories. Register today, September 25th, to secure your t-shirt! 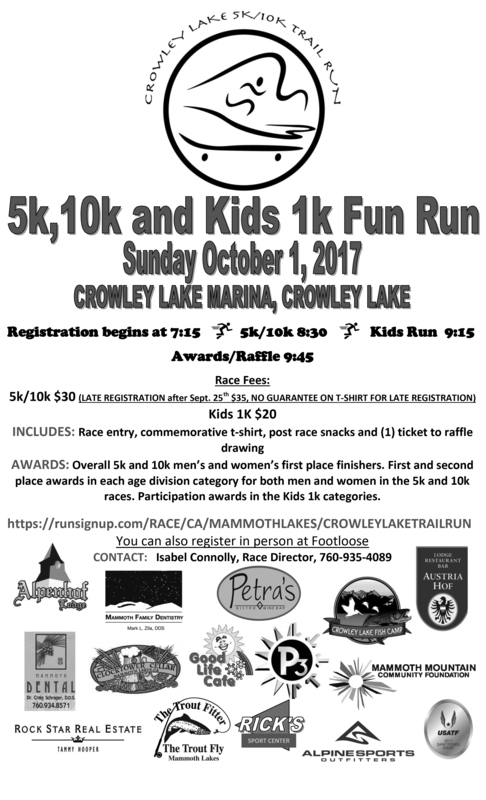 PLEASE JOIN ME AND ROCK STAR REAL ESTATE ON OCTOBER 1, 2017 FOR THE CROWLEY LAKE 5K/10K TRAIL RUN.